Thank you Stavesacre21. Very well done! I understand you thoughts, but sometimes it just doesn't seem like a good idea taking a drill to things if not absolutely needed.. But if you decide to give it a try definitely let us know how it works....who knows, maybe you'll find a better way. Good luck. Been there, done that. Worked ok for a couple months, but the elastic band just stretched more. Tried to tighten it a second time, and the elastic is pretty much shot. My guess is folks who try this will end up with the same results. It's a short term fix, at best. I'm now investigating ways to replace the elastic band with a small bungy cord. It's just a poor design if you ask me. Last edited by CSixDude; 04-21-2016 at 06:58 PM. yeah I was thinking that the "fix" would probably only work until the elastic stretched again. maybe a higher quality elastic would work for a more extended time. I figure G.M. only used the cheapest piece they could spec. thanks so much to the original poster. I think I'll give it a try to see how long it does perform as it should. other than storing your car with the top down all the time, I don't hold out much hope. Yea.....I agree that any fix involving the org. strap will probably be just temporary. I'm sure there is probably some type of elastic piece that would be much more durable. Not sure a bungee chord will work as it is quite a bit thicker than the org. piece. May not be enough room for that extra thickness when things are all folded up. Probably worth a try though so hope whoever posted the thought keeps us in the loop as they try it. Two points I'll make here. First, apparently there are 2 different straps out there, and I have no idea when they made the swap. One is 100% elastic (most of the later years have this one) and it apparently replaced an earlier version that looks like its either leather or some other material with an elastic strap attached to it. As my video shows, I have the all elastic strap, so messing with the rivet end is irrelevant. Second, my whole basis of this repair was to try and keep from having to do anything permanent. Furthermore, the angle that you would have to drill out the pop rivet wouldn't be the easiest to get to, but it certainly is far from impossible. The average person usually doesn't have pop rivets in their inventory or even a riveter to work with. Lastly and most importantly, they don't sell replacement straps, so it won't be a quick swap out. Sourcing a proper replacement will be...time intensive. I don't feel that I've been foolishly optimistic with this and realize that it might be a band aid over a machete sized wound. However, it's such a simple repair and VERY worst case, you'll end up right back where you started...no better, no worse. If it doesn't work out for you, you can still join the "2 finger pull" club that most were already in anyway. Also, which type of strap did you have? Perhaps one type is more prone to stretching than others (see my post above). Since it has been brought up, I will update everyone with my status. About a month in, I felt that the 1/2" move wasn't giving me the clearance I felt comfortable with so I went back to 3/4". With nearly 3 months in, currently at 3/4", I'm near an inch of clearance. It's close to what it essentially was, if not only marginally less. I never park my car with the top down, even when in the garage. I will keep everyone updated as time goes on. I'll reiterate what I saw on that thread. It does offer another possible fix, but it'll only work for the early strap designs with the leather portion. "The pictures also illustrate that you have a different elastic strap design than the later models. The later models don't have that leather/vinyl portion and the top strap and it attaches in a different place. This only furthers to complicate streamlining any one type of repair. A repair on one strap type may not necessarily work on the other. (ie - There is nothing to sew a new strap to on the later models and would require drilling a rivet out that's in a much more challenging place to reach)." If you have an early model strap and simply stretching the strap doesn't work, his proposed method could be worth a shot. The straps are indeed "under tension" when the top is up (meaning it is covering the car). When the top is retracted all the way and tucked under the tonneau cover, the straps are in their loosest state. This is the same state the straps are in when you have the top "folded up like an accordion" to get to the straps and make the repair. As the warm wea ther continues to roll out, i'd like to hear if people are getting their tops fixed! Would you happen to know the TSB number? Last edited by enventr; 05-05-2016 at 02:31 PM. The TSB images look like they were a 2009+ design fix. If you have a 2005-2008 that uses the old straps, it looks like ordering a new pair for $25 and swapping them out is rather easy. Those of us with the 2009+ strap design aren't able to easily swap ours out...at least not without removing the top canvas completely. For now, this repair will suffice for me. Coming up on 4 months, I'm still not having any issues. Last edited by enventr; 05-06-2016 at 03:57 AM. Really appreciate the video! Thanks for your time in doing it. Thanks very much for the time invested in the video. I was wondering where those little [email protected]#$%@!D straps were. Will be diving into mine soon and hopefully will have the same results. Thanks Again. 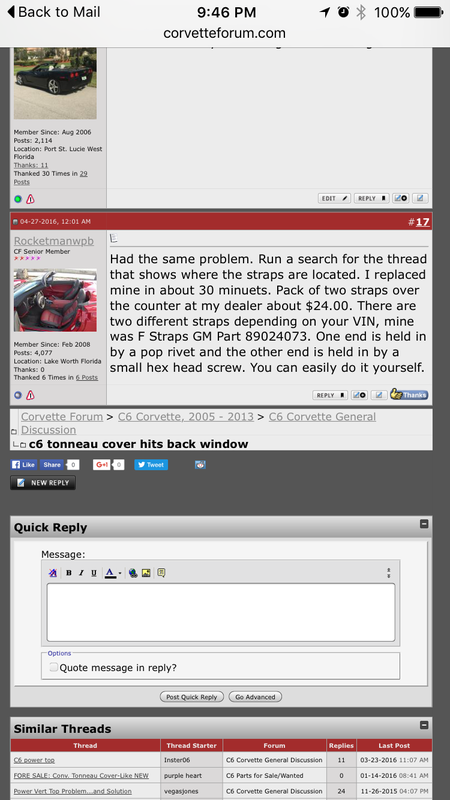 You have to give the dealer your Vin number for the correct strap. This owner has a 2008 car and I take the same stap on my 07. On some websites it will be called a tension arm or tension strap. On other websites it will be just a strap. Of note, it seems significantly easier to replace these straps on the pre-2008 version, as the rivet is right in front of your face and fully exposed. See the above video posted by enventr if you want to see the location. 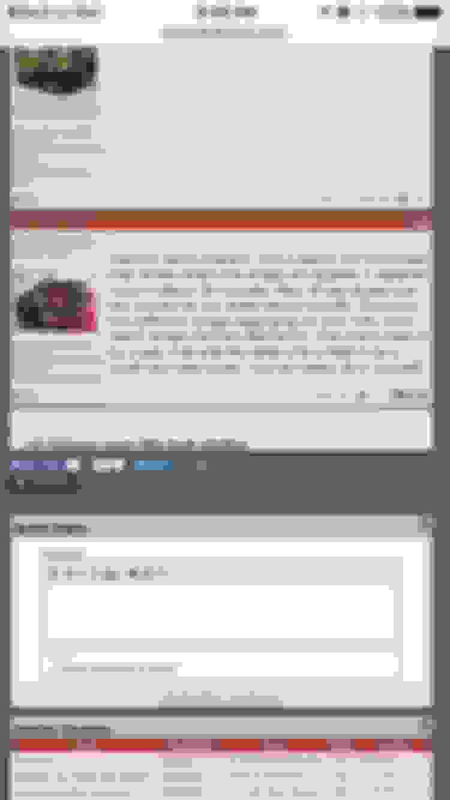 In all honesty, I don't think it's possible to get to the riveted portion of the post-2008 version without removing the canvas of the top first. The riveted on portion of the newer design (as you can see on my original video I posted) is tucked way back and isn't mounted transversely as it was in the original design. This makes it impossible to drill out and get to without the full removal of the canvas top. Given this information, I'd suggest that the pre-2008 designs just replace the straps instead of making the repair listed here since it's not going to be a whole lot more work and is easy to access. However, those of us with the post-2008 design, it's going to be a better bet to make the repair listed here. Replacing the straps on the post-2008 design will almost definitely require dealer/specialist intervention.